CarrierBid offers a full suite of hosting services for large business customers. Get the CarrierBid know how to lead you through the procurement and service implementation process. Avoid the expense of building and operating your own data center. CarrierBid offers nationwide data center solutions that are secure, reliable and scalable. Multiple location, size, bandwidth and power options. Online portal access for problem tracking, trouble tickets and management tools. The latest and most comprehensive security, temperature and humidity control, fire suppression, power supply and battery back up systems available. Dedicated servers, operating systems, space and power for one low monthly rate. Multiple installation, monitoring and management options available. Multiple server, operating system software, network device and hardware options. There are many levels of hosting services available to businesses, ranging from shared web hosting to colocation. 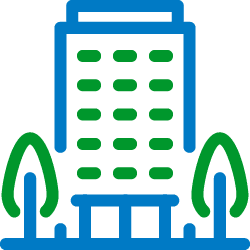 No matter what size the solution, almost all hosting is done in data centers that can span city blocks and have more security than most banks. The next level of hosting services are for large businesses and expands well beyond hosting a website. With dedicated, managed and colocation services, a company expands its network to a data center facility that houses their servers, networking and storage equipment. The main purpose of a data center is to keep your systems operational. All data centers have redundant and self-generating power sources, sophisticated cooling, fire suppression and security systems. It would cost millions of dollars to build the facilities necessary to duplicate the 100% up time that a data center can deliver. Data centers require extensive security, with devices like iris and palm scanners, even mantraps. They have multiple power sources, battery back up and diesel generators. I toured a data center in Phoenix that claimed they had the capability to produce enough electricity to power all of Flagstaff, AZ. I toured another center and was accompanied by an armed guard. Data centers are typically located in parts of the country that aren’t prone to earthquakes, hurricanes, tornados and tsunamis. It’s a good thing when a data center is located near an airport but not in a flight path. Data centers need multiple water sources for cooling systems. There should be multiple carrier options, blended internet bandwidth and access to dark fiber. Data centers should be able to offer a number of different compliances, including SAS 70 Type II, LEED, PCI, HIPPA and SCIF. There are two versions of this type of hosting: dedicated, or colocation, and managed. 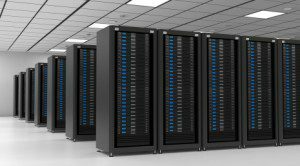 With dedicated hosting, a company rents space in a data center and stores servers, computing and network equipment there. The company’s technicians have complete access and control of the equipment. Monthly pricing is determined by the amount of space, power, how the power is delivered and the network connectivity. 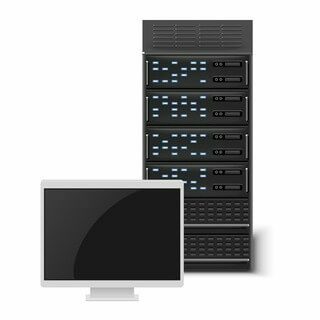 Managed hosting offers less access and control of computing equipment and software because the hosting company has been given the management responsibilities. The benefits of managed hosting are that it’s easier to scale, frees up I.T. staff time for core responsibilities and is potentially more cost effective. CarrierBid can assist you with establishing a dedicated or managed hosting service. We have relationships with a number of different data centers and hosting companies, so we’re able to simplify the procurement process and locate the best pricing and solution available. If you’d like to receive more information about CarrierBid’s hosting solution providers, please call or complete the form on the bottom of this page.